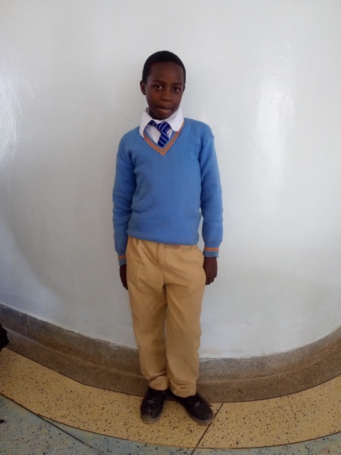 KELVIN NDERITU- Male age 16 at 2017 Form 1 (Orphan). 1. Tribe /location from. Kikuyu – Nyeri county. 2. What language do you speak? For each, how well do you speak/read/write? 5. Favourite activity or activities. Playing football. Farming /Agriculture/raising farm animals. Subsistence \farming. We apologize for the personal nature of these questions but your testimony is powerful and your story helps us share the New Dawn story with more clarity. Are your father and mother still living? If so, where do they live? Are they working? What is their work? No,- am an orphan. Where do you live when you are not at New Dawn? Whom do you live with when you are there? With my grandmother at her home. Tell us about your siblings (if any); I have one brother in class three. Tell the story of your life up to this point; My both parents died and we were left with my grandmother who struggled to care for us. 9. Describe your relationship with Jesus Christ and where you are in your spiritual journey. Am a born again Christian. 10. Do you know your spiritual gifts (Romans 12, 1 Corinthians 12-14, and Ephesians 4)? If so, what are they? 11. What would you like to do after graduation from high school? What are your plans, goals and hopes for your future? What would you like to accomplish in your life? What are you passionate about? How do you hope to affect your community and your world? 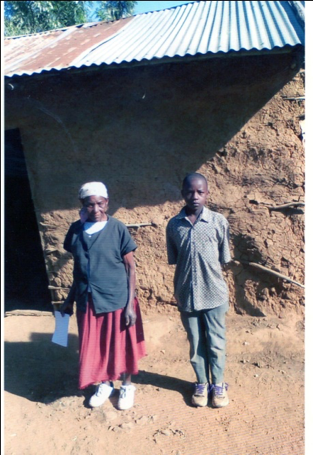 I would like to be a Human Resource Manager ,after getting a job I will help the poor and encourage the hopeless. If you would like to help Kelvin, please provide us with your name and email and hit "SUBMIT" before clicking the "Continue" button below. You will then be asked for your payment information. On behalf of Kelvin, THANK YOU!